Give the gift of beauty. 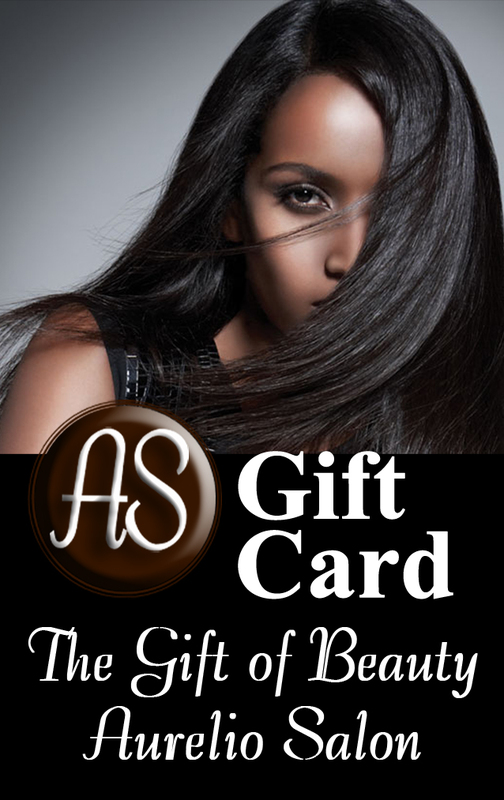 Salon Gift cards are available in any denominations. Now there are 3 way you can get your Gift Certificates and Salon Gift Cards! Instant, On-line, by phone, or at the salon! Do you need an Instant Gift Certificate? Great for that last minute shopping! You can design your gift certificate, preview it, and then send or print it immediately. It’s fast and easy! Click Here to get an Instant Gift Certificate! By phone call 732-303-0052 during normal business hours and we will mail it out for you! Stop by Aurelio Salon and Spa, at 2225 Route 9 North, Howell, NJ 07731 and pick one up! Aurelio Hair Salon and Spa is located in Regal Plaza, between Sunnyside Road and West Farm Road, in Howell NJ. We are 6 miles south of Freehold Raceway Mall or 1/4 Mile North on Route 9 of Route 195 and Route 9 intersection. Serving Howell, Freehold, Jackson, Lakewood, Toms River and the sounding communities with finest Salon and Spa Experiences.